Is Nigella Sativa an effective alternative cancer treatment? Current studies are suggesting a resounding yes, which is not an answer many big pharmaceutical companies want to hear. What do the studies suggest? And why should we dare to trust them? Cancer diagnoses have increased by 57% over the last 20 years. Treating these cases with conventional medicines may easily cost an individual $5,000-30,000 a month. can become a medical condition in themselves. Cancer patients generally receive a combination of treatment and therapy types. Some of the categories of treatment include surgery, chemotherapy, radiation and gene, immuno- or hormone therapy. Many of these treatments can generate debilitating side effects or the growth of other more aggressive cancers over time. Even with all the above options, cancer accounts for 20-25 percent of the deaths in many medical practices. Just a few of the side effects of conventional cancer treatments can include fatigue, anemia, nausea and vomiting, mouth and throat problems, nerve and muscle problems and digestive disorders. Many sufferers are left weak and without an appetite. Failing to eat properly allows cancerous cells to do more damage more quickly. N. sativa has been used as traditional medicine by Middle Eastern and Asian countries for thousands of years, making it one of history's most commonly used herbal remedies. As roasted seeds or cold-pressed oil, the herb is used to treat a myriad of ailments, including the immune system and inflammatory disorders. Among the 51 pharmacological effects attributed to the herb, studies have shown N. sativa to be effective against at least 17 types of cancer. So many supportive studies validate the confidence of centuries of physicians and individuals who have made the herb an important part of remedies for patient and family suffering. N. sativa is used commonly around the world to safely treat ailments such as diabetes, hypertension, asthma, allergies, and digestive problems. It comes as no surprise, then, that alternative treatments are being considered with increased seriousness. And one major focus is on the herb Nigella Sativa, a. k. a. black cumin, black seed, kalonji, or haba al barakah. Recent studies conducted at Sidney Kimmel Cancer Center of the Thomas Jefferson University in Pennsylvania have given researchers even more reasons to suggest N. Sativa as a viable alternative or supplemental cancer treatment. More than 1000 studies are extolling the possible effectiveness of an extract of N. sativa called thymoquinone (TQ). This extract is showing impressive results against a variety of cancers and tumors. Over 150 books and articles are available in the U. S. about the herb's physical and chemical properties. Ongoing research continues to uncover its positive effects on a number of cancer types. Some of these studies have been inspired by the declarations of physicians, philosophers, and religious leaders of the past. Islamic founder and Prophet Muhammad proclaimed his admiration for the herb by calling it "a remedy for every disease except death." community, resulting in a great deal of supporting research results. The positive findings have led some to refer to this herbal giant as "prophetic chemo." Thymoquinone, a bioactive compound derived from Nigella Sativa seeds is familiar as Prophetic Chemo. When combined with a detoxifying healthy diet free from sugar, processed foods, and white flour, N. sativa reinforces weak immune systems and destroys cancerous cells. It does this while assisting good cells to fight against cancer. The compounds from N. Sativa especially Thymoquinone, cause the death of apoptotic cells of cancer affected tissues. The anti-inflammatory properties of TQ seem to be one reason for its effectiveness again many types of cancer cells. Researchers saw cancer tumors shrink by as much as 67 percent, along with a significant reduction in pro-inflammatory cytokine levels. Colon cancer is another leading cause of death around the world. Studies have shown this extract from Nigella sativa is able to destroy existing cancer cells and inhibit new destructive cells from forming. These results suggest Black seed oil may be an effective treatment for this life-threatening disease. N. sativa studies were conducted on several types of brain cancer, including Glioblastoma, which is the most common and most aggressive malignant brain tumor found in humans. These types of tumors are known to be highly resistant to radiation and chemotherapy treatment. The average survival time after diagnosis is 15 months. Studies using human lung cell cancer have shown TQ is able to reduce significantly the ability of lung cancer cells to reproduce themselves. Cell viability decreased by up to 85 percent in these tests and tumors shrank in size. A 2003 research project from Jackson State University showed promising results using TQ in treating breast cancer cells. Breast cancer continues to be the leading cause of death for women. And N. sativa has been the focus of many promising studies that suggest it as an alternative therapeutic option. Researchers found black cumin oil suppressed the growth of aggressive cells while promoting the growth of non-aggressive cells. For those women who have been diagnosed as having a high-risk factor for developing breast cancer, adding a regular regimen of black cumin to your diet may be a way to prevent cancer development. Studies have shown N. sativa blocks the growth of cancer cells. No matter what stage of the disease you may be in, the cancer-fighting compounds found in this herb can help bring a quicker recovery. As cancer continues to ravage the world, the research into alternative treatments continues. Efforts to safely combat this deadly disease with remedies which will restore and extend the lives of suffers will not end so long as the disease exists. Nigella Sativa is one of those remedies which should be taken seriously by scientists and physicians around the globe. 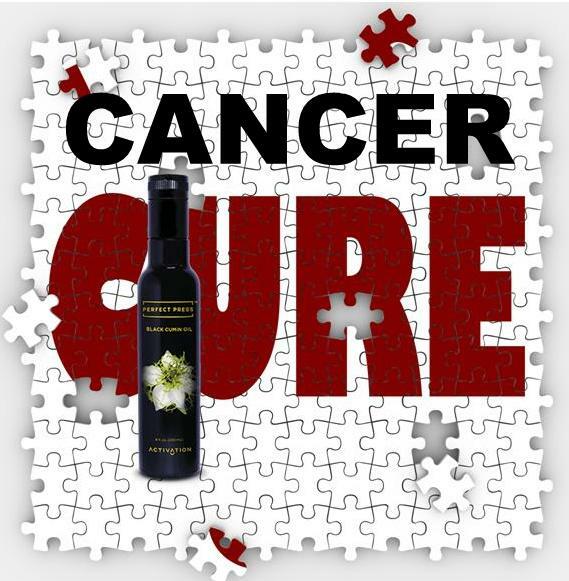 Al-Sheddi ES, Farshori NN, Al-Aqail MM, Musarrat J, Al-Khedhairy AA, Siddiqui MA, Cytotoxicity of Nigella sativa seed oil and extract against human lung cancer cell line, Asian Pac J Cancer Prev. 2014;15(2):983-7, found online at https://www.ncbi.nlm.nih.gov/pubmed/24568529.